This mouthwatering meal features a customer favorite, chicken roll ups, with simply delicious sides. 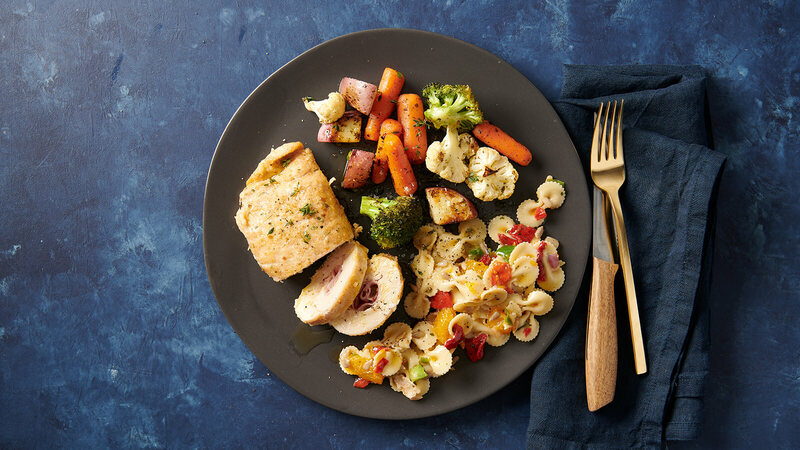 Fresh veggies and your choice of chicken roll ups cook on one pan to create a tasty, no mess sheet pan dinner that is ready in 35 minutes. 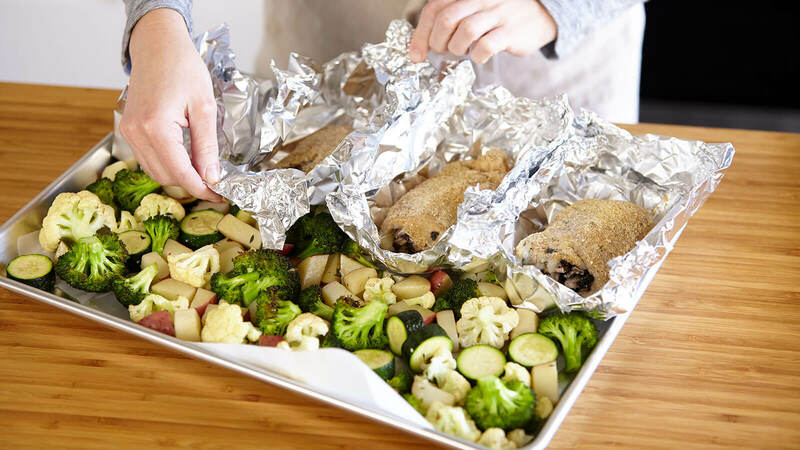 In this week’s Little Big Meal, our chicken roll ups roast alongside seasoned fresh vegetables to create a delicious, no mess sheet pan dinner that is ready in 35 minutes. 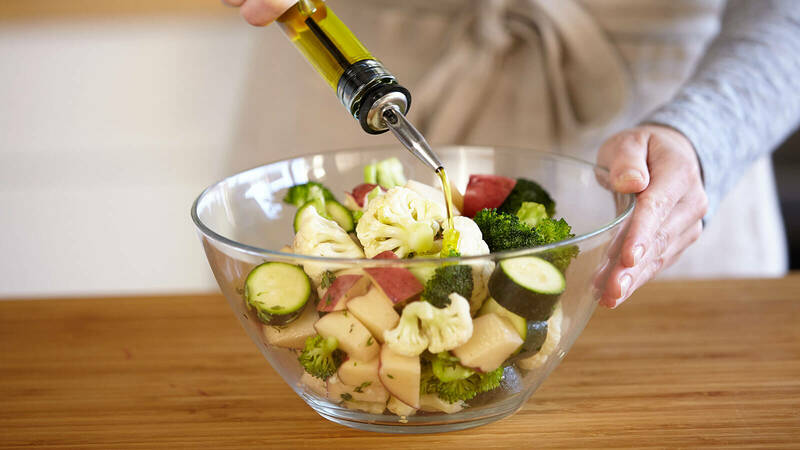 Cutting the vegetables into similarly sized pieces helps them cook at the same rate, so this entire dish is ready at the same time. Scroll down for step by step instructions on how to create this delicious dinner at home. Preheat oven to 400°F. 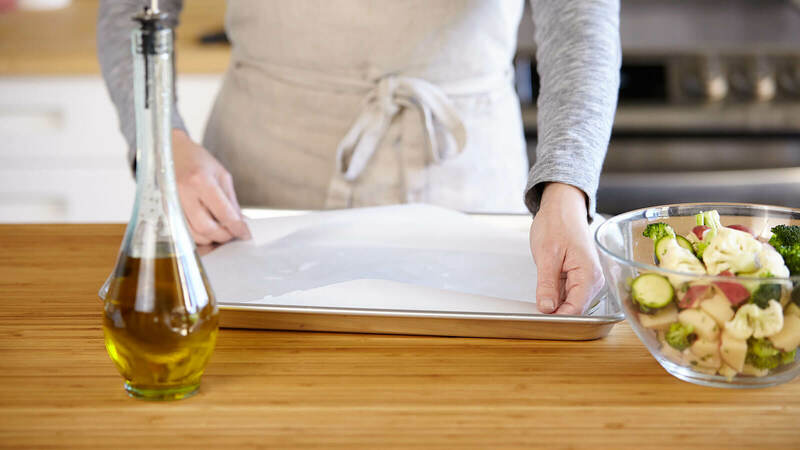 Line a large sheet pan with aluminum foil or parchment paper. 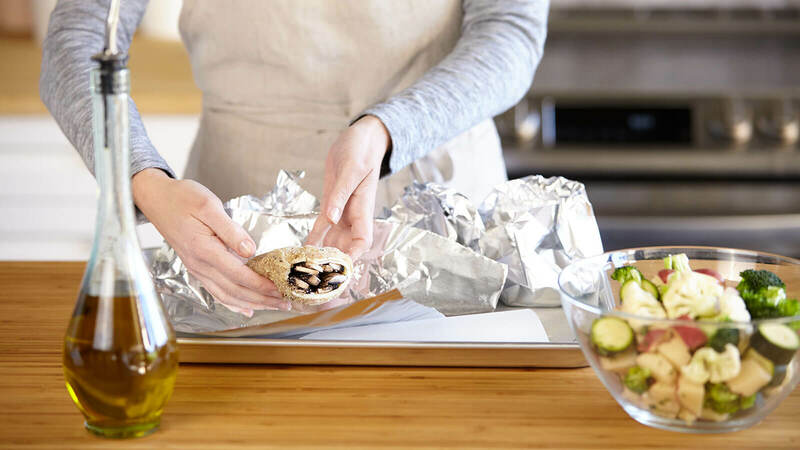 Loosely wrap each chicken roll up in aluminum foil and place on sheet pan. Remove fresh thyme from veggie kit. 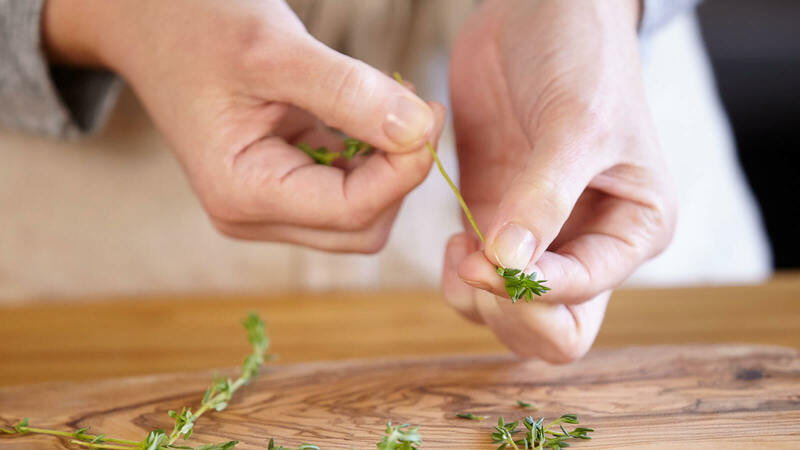 Using your fingers, strip thyme leaves and set aside. Slice potatoes in half (if needed) to ensure they are bite sized. Place vegetables in a large bowl. Add olive oil, thyme leaves, salt and pepper, to taste, and toss to coat vegetables. Place vegetables on sheet pan alongside chicken roll ups and place pan in oven. After 10 minutes remove pan from oven. Gently open foil packs to expose chicken roll ups. 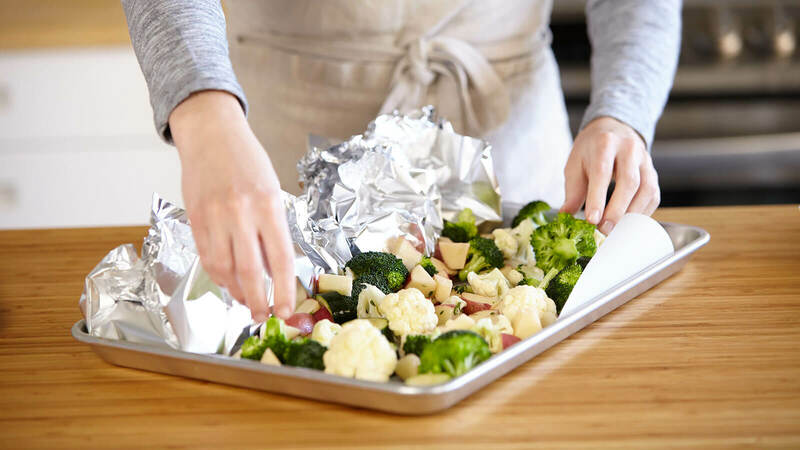 Return pan to oven and cook additional 20-25 minutes until vegetables are tender and chicken roll ups are cooked through and browned. To serve, place chicken roll up on plate along with any accumulated juices. Serve with roasted veggies and salad.